While most of the gifts I give at Christmas time are purchased, I do like to make a few here and there! My family draws names, and we have categories that you can enter your name into-such as Gag gift, Media gift, Food gift, and the favorite-Homemade gift! We are a pretty creative bunch and have fun thinking up items to make that are tailor made for that member of the family! This year I got my sister, Joanna. 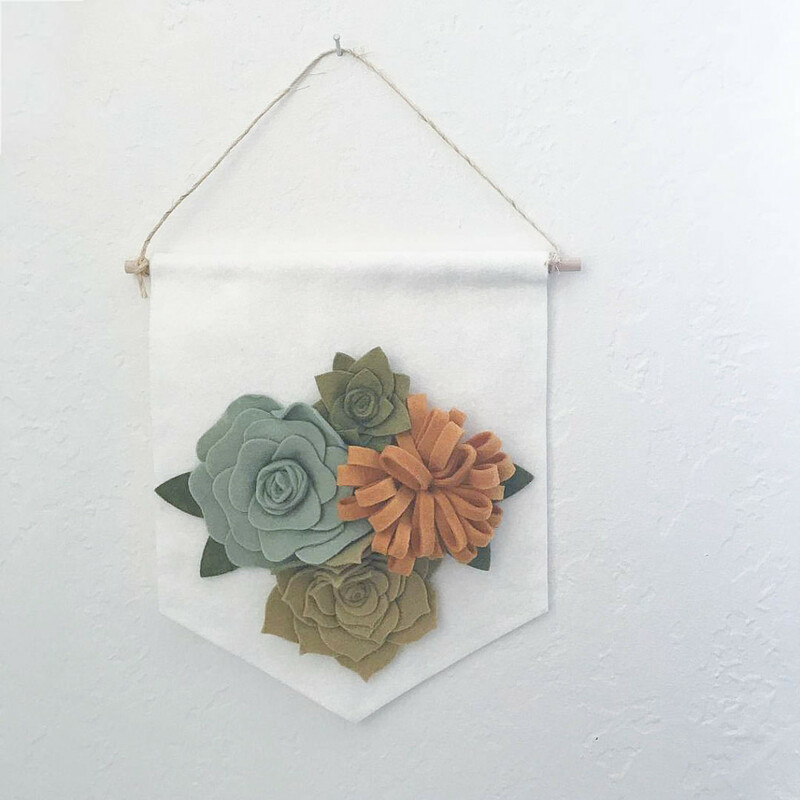 I had a few ideas right off the bat, and one of them got made fairly easily-this cute felt flower banner she can hang up somewhere in her cute house! The second gift I made here (cuz I’m extra and always do a few-what? 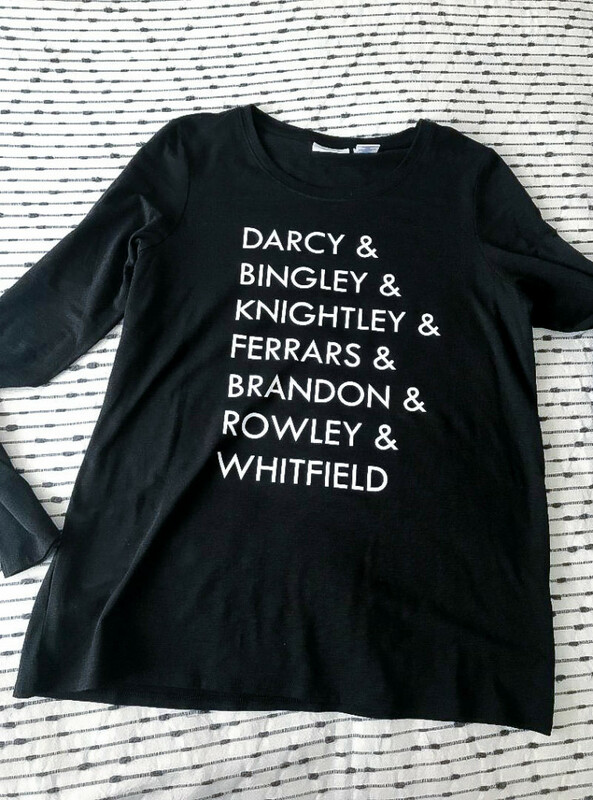 it’s my wheelhouse), was a tee shirt with some of the Austen hero’s last names listed down the front. WITH A TWIST! 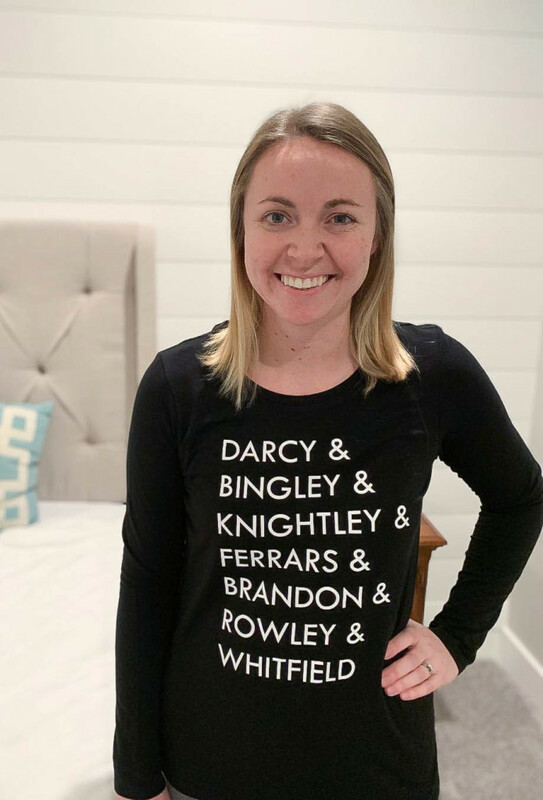 Y’all know hopefully by now about her book (and she’s got another one coming out this April), so I added her two leading men’s names from those books to the bottom of the shirt! Her face was priceless when she figured it out! Loved how that one turned out! I used my amazing Silhouette and my favorite iron on vinyl to make it and it was a cinch! 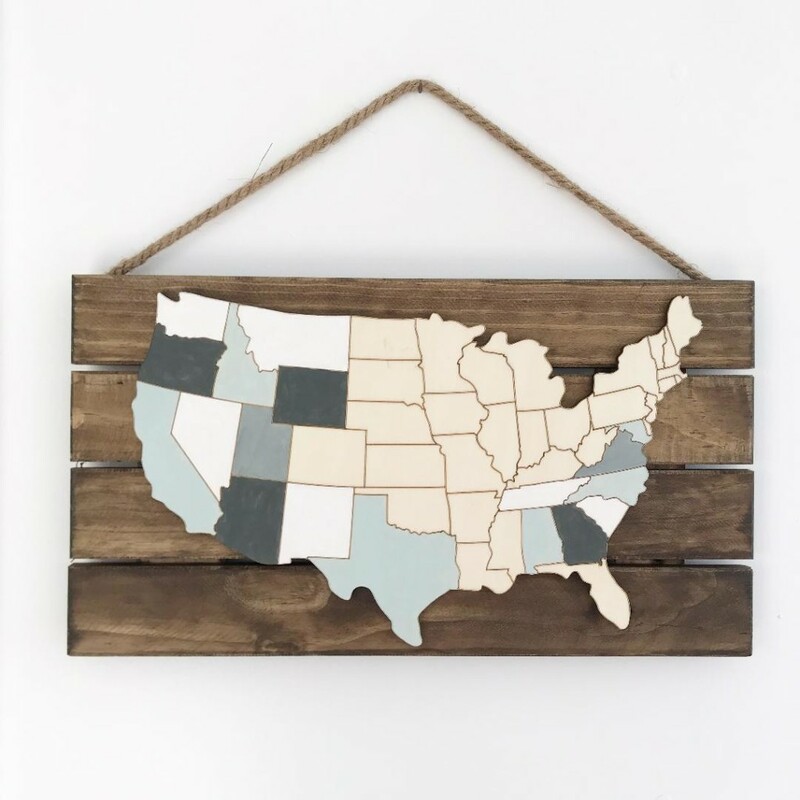 My last handmade gift was this US map-a family we are close with loves to travel around the US-so I bought this wooden laser cut map and board at Hobby Lobby, then all ninja like, found out all the states they had been to. (they were really wondering why I would ask, lol!) Then I painted them all in with a tiny brush, and gifted the paint with it so they could continue filling them up! I considered buying one of those scratch off maps, but I loved the personal touch this added and the whole family loved it! score. Did you make any gifts this season? If you did, leave a link! I’d love to see! I love these gifts. How did you make the banner?